2012-12-05 Card tested on Raspberry Pi, working! 2012-12-04 PCBs fetched. First card soldered and working! via a special kernel module using the DMA of RPi. 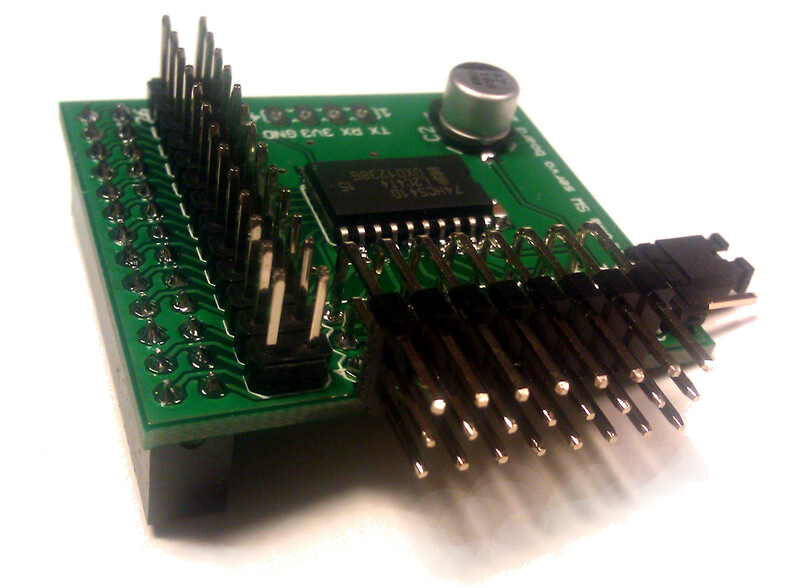 The 2x13 pin header on top is a pass through if you want to connect other cards using the GPIO-port. The SW uses 8 GPIO-pins for controlling servos. The card has a 74HC541 to make the 3.3V levels 5V and protect the RPi. All the work is done by the kernel module, the card is mostly for convenience and to get nice connectors. If you rather build your own, I'll post the schematics here soon. Worldwide postage is $5 except for Sweden which is $2.